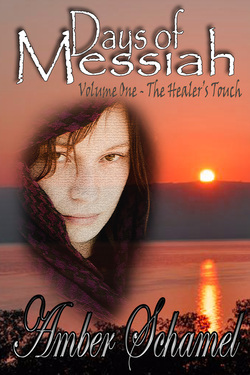 The Healer's Touch is volume one in the Days of Messiah series. It will be released in Ebook form on June 27, 2013. Print version will be available July-August 2013. Available June 27 on Amazon, Barnes and Noble & Kobo. Aaliyah's last chance at winning her husband's love is destroyed when she is banished from her home as an 'unclean' sinner. Struggling to survive amidst the fear, grief and bitterness of living in a leper colony, she would give anything just to see her son again. When rumors of a Healer from Nazareth reach the colony, Aaliyah wonders if this man could really heal her, or if He would despise her like the rest of her people. It is now that Aaliyah must make the most difficult decision of her life: risk her life to appear in public, or die a leper. Click Here for sample first chapter.